Exterior House Painting | Posted in Home Improvement - Eco Paint, Inc.
expensive than hiring a contractor. Why? Because if you don’t do the job well the first time, you will have to repaint the house and spend tons of money on the paint you buy. Exterior painters do this all the time, and are experts in this field. Just like a hair dresser, and barber. Would not want you cutting my hair if not qualified, and have not done that numerous times. The general idea when it comes to exterior house painting is that you buy some paint and brushes and you paint the house, but the real version of exterior painting is now as simple. Having an exterior house painting job requires all sorts of previous first-mining tools. A contractor's exterior painters will know how to prepare the wall before the painting and so you will have a long-lasting job done and an impeccably aspect to your house. Firstly the contractor's painters will wash the wall surface that needs to be painted, after that he will scrape and sand the surface. The next step will be caulking the joints and cracks and the level of humidity will decrease and the paint will last longer. Before applying the paint the contractor's staff of qualified painters will apply a primer that will secure the paint on the walls and that will help the paint to dry and to better stick to the walls. All these precautions should be taken, if you want to have an exterior house painting job that will last a longer time. The kind of paint you choose is also important. Besides the color, the most important feature an exterior paint should have is quality. Even if high quality paint is a lot more expensive, it will also last longer and it will face weather changes and temperature variations a lot better. Being cheap when you buy the exterior paint will cost you more money in the future when you will have to repaint the house. If you want to paint the exterior of your house the best thing to do is hire a contractor that will guide you through the process. The aspect of your house is important, as much on the inside as on the outside. Give your house a touch of style with a beautiful, long-lasting exterior house painting from Eco Paint, Inc. 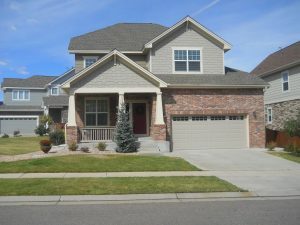 Qualified Denver Painters website helps people find the best exterior house painting and painters that will assist you in every way.